TechRadar recently tried out early preview versions of EA Sports' first two titles that make use of Nintendo's Wii MotionPlus controller tech, Grand Slam Tennis and Tiger Woods PGA Tour 10. Both titles are out this coming June and we have to admit to being mightily impressed by the control and responsiveness offered by Nintendo's new controller dongle. We quizzed the producers of both games to find out a little more about their own thoughts on Wii MotionPlus. TechRadar: Can you describe the difference in control between the standard version and the Wii MotionPlus version? Thomas Singleton (Grand Slam Tennis Producer): Wii MotionPlus certainly possesses great fidelity and, with that, it gives users an even more authentic one-to-one motion that maps to your in-game player. With Wii MotionPlus, wrist rotation is more significant because it detects at a higher frequency that you want to perform. Specifically to Grand Slam Tennis, the big differences from Wii MotionPlus to non-Wii MotionPlus are the one-to-one backswing and the ability to force your player to hit a forehand or backhand. The aiming of the ball is taken to a more literal level so where you finish your swing is where you're going to place the ball. Whether you're going cross-court or down the line, you'll feel that difference with Wii MotionPlus. In relation to wrist rotation, you can continue to curl that ball even after you make contact. But without Wii MotionPlus, you'll experience a similar level of control, just not at same level of consistency. Mike Taramykin (Tiger Woods PGA Tour 10 Executive Producer): Both control schemes are fun to play and accurately reflect a real golf swing. The major difference between the two is that, with the Wii MotionPlus, we are able to pick up almost every nuance of your swing with a consistency that was not possible in the past. We know where the Wii Remote is and how it's oriented in 3D space so we can translate that into movement on the screen. A slight rotation of the Wii Remote on your downswing will register as a slight draw or fade. A larger rotation will result in a larger draw or fade. The rotation reading is accurate and consistent. It's also easy now to hit low power shots by pulling back slightly on your backswing and following through softly. You could even hit a one per cent power shot. The fidelity is that good. In addition, your golfer's on-screen movements will be in near lock step with how you swing the Wii remote. This all works without the Wii MotionPlus as well but to a lesser degree of precision. TechRadar: What technology inNintendo's add-on dongle deviceallows the Wii MotionPlus to measure the co-ordinates and movement of the players hand better? Thomas Singleton (Grand Slam Tennis Producer): In our game it's calibrating your hand motion, your WiiMote position, in relation to the sensors and after getting that calibration from the sensors, it's detecting where you are in relation from the shortest sensor point; up to down, left to right. So it truly is giving you that one-to-one control movement of your arm motion and then mapping it directly to that one-to-one movement of your character on screen. At times it's overly responsive. It had so much fidelity that at times we have limited that fidelity to make it a compelling experience and giving you full total control. Mike Taramykin (Tiger Woods PGA Tour 10 Executive Producer): The Wii MotionPlus incorporates a vibrating structure gyroscope. This device measures the vibrating structure's resistance to changes in orientation. 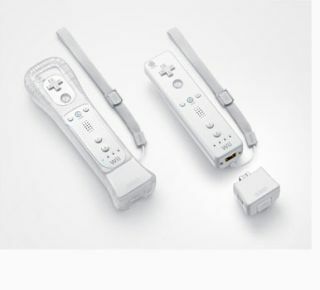 By accumulating these incremental changes, we can calculate a very good estimate of the Wii Remote's orientation. There are other factors that can affect this process, but fortunately Nintendo provides us with a good software library that handles nearly all of them.